Vanessa has been pole dancing for three years and loves to train tricks. 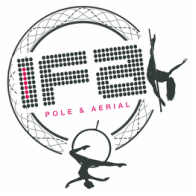 Known as the flexi one of the IFA Pole & Aerial team, Vanessa goes out of her way to find new and interesting flexible moves to bring onto the pole. She also enjoys training aerial hoop as well as working on doubles pole moves and routines with her friend Kira.